Since launching ‘central station’ and the designs of our XLR8 summer grant in August (thank you Amy and Chrissy), Middle School faculty have earned over 100 badges. 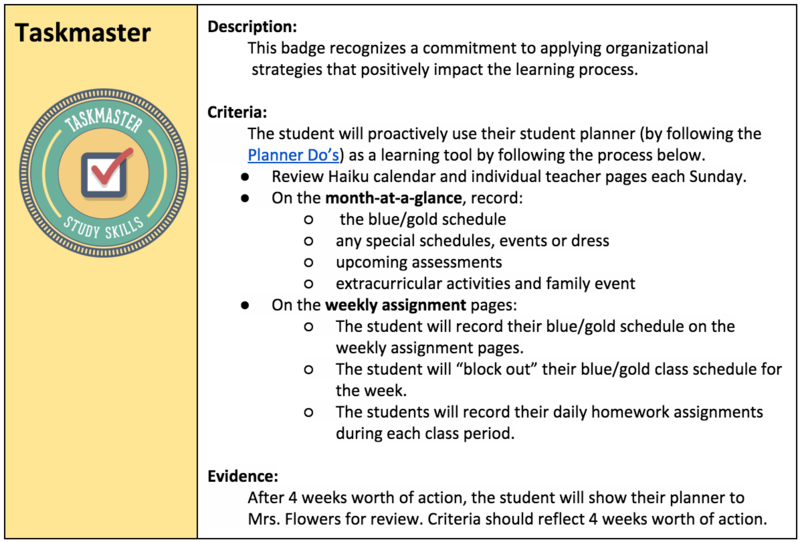 To ensure a successful roll out to students in the future, we are intentionally focusing on the faculty experiencing and understanding the power of badging. While a full scale badging launch for students is still beyond the trees, today we piloted a small scale experiment with students in study skills. 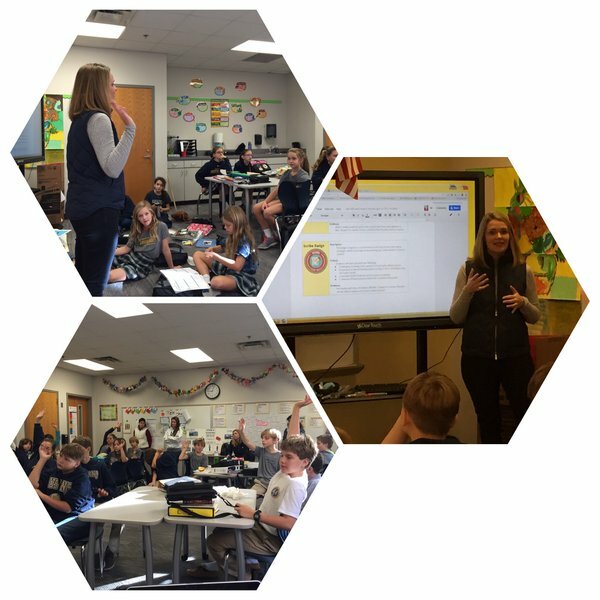 Designed by the Academic Resource team including Samantha Flowers, Ann Plumer, and Kelli Bynum, it is exciting to introduce the Scribe and Taskmaster badges for students! The students showed great enthusiasm as we discussed how learning is measured, comparing grades and badges, as well as covering the 6 elements of badge design. They had fantastic ideas for what physical form the badges might take, particularly recommending locker magnets that could be displayed for visitors, tours, and all passersby. What do you think of these two new badges? Can you imagine these criteria displayed and discussed in a student led conference through the students’ eportfolios?